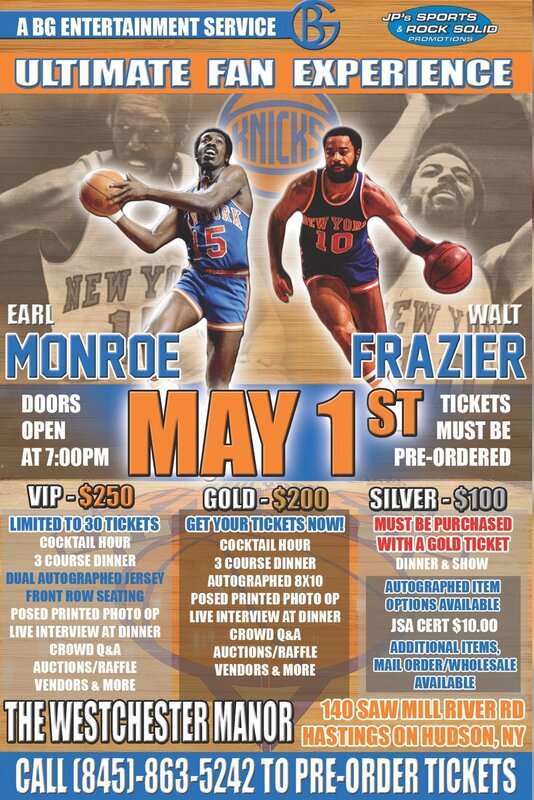 Spend an evening with two of the greatest guards in New York Knicks history! Mail order available if you cannot attend! Cocktail Hour, 3 Course Dinner, Posed Printed Photo Op PLUS Dual Autographed Jersey & Front Row Seating- ONLY 30 AVAILABLE! Silver Ticket Add-On Guest (Must purchase Gold or VIP ticket) $100 for dinner & show.